If they are going to name a candy bar Mr. Big, then the size of the candy bar should be made to match the name! This "This is broken" is somewhat broken if you don't tell us how big/small this bar actually is... one can only guess vaguely from the size of the zigzags on the edge that it's probably small. Well, with size of the zigzags and the wrinkels on the letters, you can guses that it is a small candey bar. And of course you are first. You get up before 3:17. If you look at the zoomed photo, there's a little 'notation' symbol next to the Mr. Big name. Something tells me that somewhere on the wrapper is a disclaimer in fine print that the name refers to the flavor and not the actual size of the package or candy. Which doesn't mean that it's not broken. Seems to be a strange name for a candy, as well as one that invites such a strange coincidence. If your product name requires disclaimers, perhaps it isn't such a great product name. 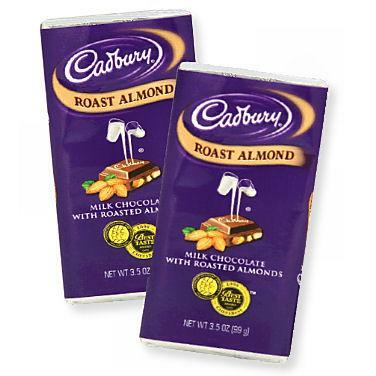 Interestingly, the Cadbury website doesn't list this product in the lineup. You know, once when I was a kid, I bought a $100,000 Bar for--this is true--35 cents. So broken! And another time I had a Pay Day bar, but it wasn't pay day! Why should a product's name be enough for it to be considered broken? Dawn dish soap doesn't have anything to do with the sunrise, Tide detergent has nothing to do with the ocean, the Apple Macintosh must be doubly broken since it has nothing to do with either fruit or raincoats. I can't believe you guys haven't figured that this is an image of the Halloween-size version of the chocolate bar. The normal size "Mr. Big" chocolate bars are slightly larger than Oh Henry chocolate bars. Aren't there better things we could be discussing?